The Taylor Hooton Foundation is the only national organization that is dedicated to educating the youth of America of the dangers of the use and abuse of steroids. 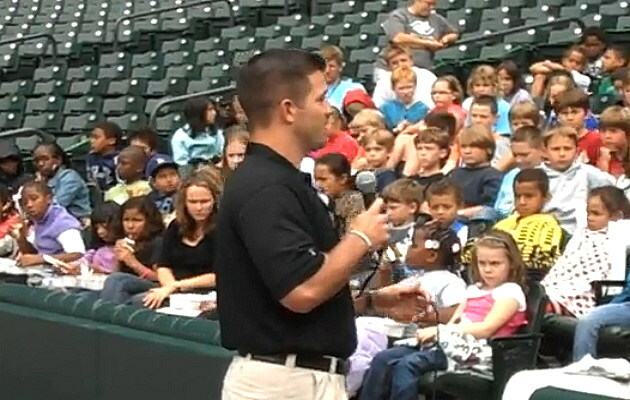 Clint Faught travels across the country visiting high schools, universities and any organization that will help him get the word out to young athletes about the dangers of performance enhancing drugs. Faught will be in Abilene on April 6th. Clint Faught knows exactly what he is talking about, the former college baseball player, who played at the U.T. Arlington and Missouri Western State University as a pitcher and a third baseman, saw these kind of dangerous drugs being used first hand. Faught will speak at McMurry in the Garrison Campus Center at 1:30 p.m. Tuesday, March 6,Â The talk is free and open to the public.